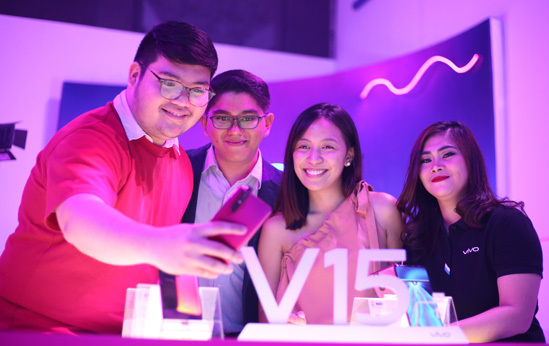 Innovative mobile phone developer Vivo has finally unveiled the V15 Pro through an event that truly leveled up to expectations by showcasing the cutting-edge features of its flagship smartphone. 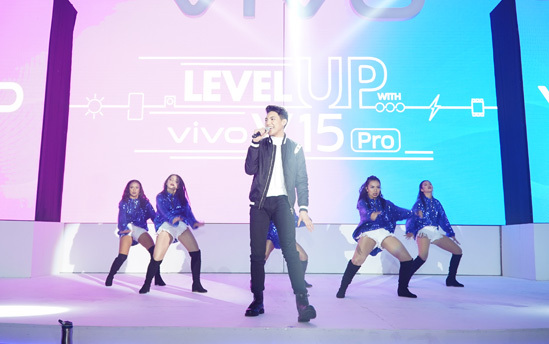 Vivo vice president Cyrus Wu and vice president for channel sales Hazel Bascon welcomed the guests, including Vivo’s trade partners, to the grand launch which encouraged everyone to “Level Up with V15 Pro." "We must continue to elevate our product and we exhausted all possibilities in smartphone technology to bring the best user experience to consumers," said Bascon in her welcome remarks. Capture the perfect shot. 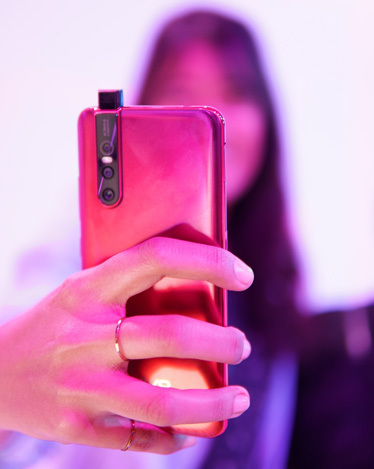 Aside from the elevating front camera, the V15 Pro also sports the latest AI triple camera setup—48MP main camera, 8MP wide-angle camera, and 5MP depth sensor. Singer Julie Ann San Jose opened the event with Ciara’s “Level Up” which brought up the energy at the venue while the audience awaited the V15 Pro’s big reveal. Filipino-Canadian singer Darren Espanto, Elisse Joson, and Klea Pineda added more star power to the evening. Darren Espanto closes the Vivo V15 launch on a high note with top level performance. The V15 Pro features the much-applauded 32MP Elevating Front Camera intended to take great-looking selfies. Vivo's NEX was the first model to carry this industry pioneering feature that was first showcased at the 2018 Mobile World Congress. Level up for groufie. 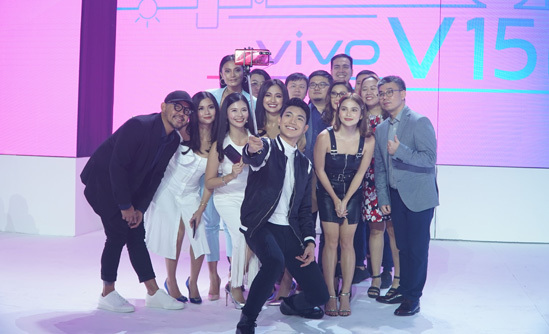 Darren Espanto uses the Vivo V15 Pro’s 32MP elevating front camera to snap a groufie with fellow singer Julie Ann San Jose, celebrities Elisse Joson and Klea Pineda, and Vivo executives.